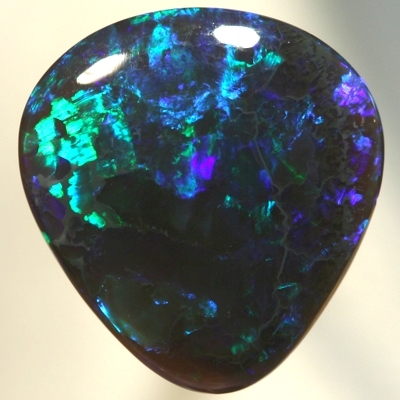 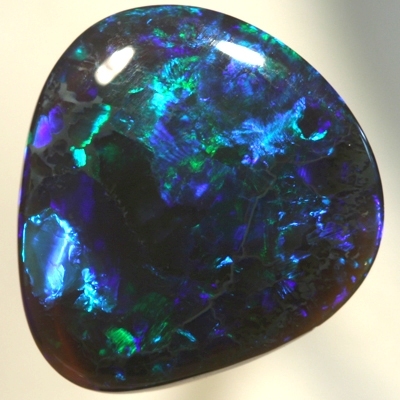 The colour play in this opal is saturated with the richest, bright colour. 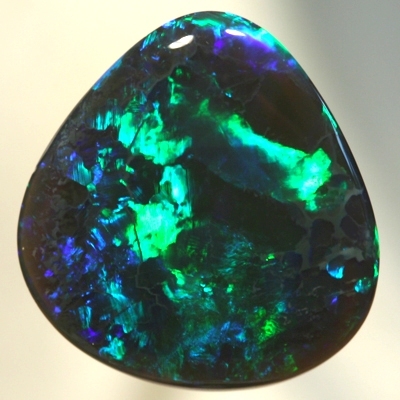 Lovely bottle green, gold green, several hues of turquoise all moving over a dark blue purple hue. 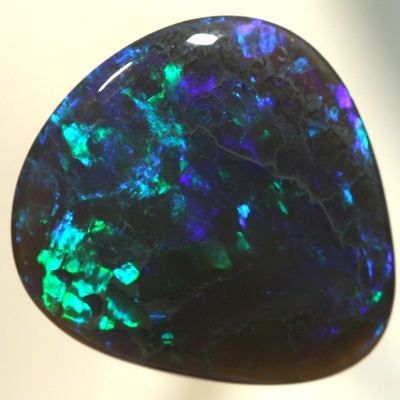 The colours jump across the face of the opal in large rolling flashes with a constantly changing play of colour. 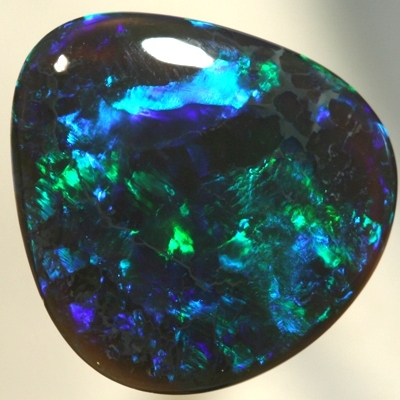 A stunning and beautiful gemstone, ready to be made into a gorgeous piece of fine jewelry.